Having the best reloading dies is necessary for successful reloading. With a quality die set you’re assured of dependable extraction, feeding and accurate shooting. High quality reloading dies also reduces the possibility of misses, jams and otherwise low performance. When it comes to reloading dies you’ll want to make certain to use only the highest quality products to avoid problems. High end reloading dies are made by the top brands like Lee, RCBS and Hornady. These 3 companies make a lot of reloading dies but I compared the best products they have and picked out the best from each. I have also included tips and suggestions if you’re a first time time buyer and other information about reloading dies product comparison. If you are in a rush the table below gives you a quick overview of the 3 reloading dies and their features. For more details please read the reviews below. 3 What is a Reloading Die? 7 Who Makes the Best Reloading Dies? Lee makes some of the best reloading dies for 308 and other calibers like the 45-70 and the 300 Blackout. So whether you’ve got the latest caliber or one that’s almost a hundred years old there’s probably a Lee for it. Lee manufactures full length resizing dies that brings back used brass to industry mandated specs. They also make high quality collet neck dies for maximum precision. These collet neck sizer dies constrict the neck case on the mandrel, which reduces minimal run outs and makes for a better fit. The Lee collet neck sizing die doesn’t need a case lube and makes them last longer. This alone makes the Lee reloading dies worth investing as you’ll be spending less to buy new ammo. Lee dies come in two flavors, the first containing dies and a case. Or for a few dollars more you can buy a complete die set with dies, load data, a powder measure and shell holder. Lee reloading dies are particularly noted for their simple to use load data. It features all the popular powder brands arranged in an easy to read manner. These complete Lee dies are ideal for shooters because they make it easy to copy different loads. Rather than buy each part separately it’s cheaper to buy a complete set. The Lee die sets are suitable for pistol owners who shoot in bulk as well as precision shooters. You’ll also find the dies useful if you’re into customization and want to tweak your ammo. Bottom line is the Lee dies are well designed and have the features shooters need. This RCBS reloading dies review can point out this 3 set piece is ideal for straight walled pistol and rifle rounds. These dies have a carbide sizer ring so lubing is no longer required during the procedure. 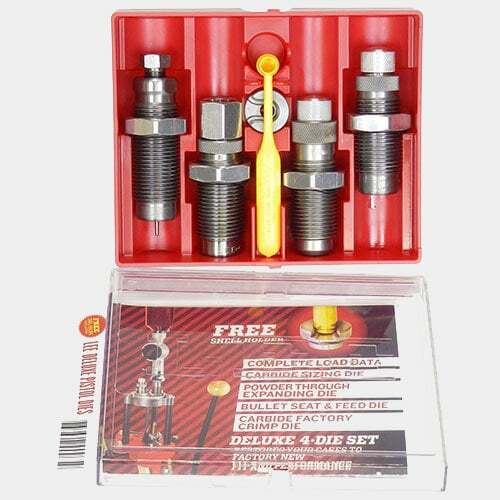 RCBS die kits come with a carbide sizer die which adjusts the case size so it is suitable for reloading. This is a crucial feature because a lot of guns are particular to case size especially repeaters and semi automatics. RCBS reloading dies are most effective for rifles with sensitive feeds and need accurate resizing. If the case needs to be resized to factory settings this will do. The bullet seating plug is designed to work on different kinds of projectiles and correctly seat them. Length wise most projectiles are the same though there may be variations in the design. Some rounds vary significantly especially the hollow point bullets. With some new calibers the RCBS dies gives you plenty of options for light, short or heavy projectiles. These dies are also ideal for big bore revolver loading, sporting guns and various automatics. No matter what calibers you’re reloading there’s an RCBS kit ideal for it. All of their dies are made of durable materials and can be used for heavy duty reloading. RCBS reloading kits have earned a reputation for quality and these dies are no exception. They’re designed mainly for reloading and maximizes productivity. When it comes to reloading dies RCBS produces some of the best in the business. They come in different styles to serve different functions. All their dies are rust proof so they’ll last. When people talk about reloading dies for accuracy you’ll eventually hear the name Hornady. They’re well known for quality reloading dies for a wide array of calibers, cartridges and ammo. These Hornady dies are built for different types of calibers, cases and bullets. These dies have been engineered to precision so performance is smooth and consistent. The Hornady dies are built with precision so reloading is easier and more convenient. As you might expect from Hornady these dies are meant to work with various types of bullets and calibers. Hornady reloading dies allow you to switch between self defense and practice ammo loads. These dies come with a revamped zip spindle that stabilizes the reloading procedure. 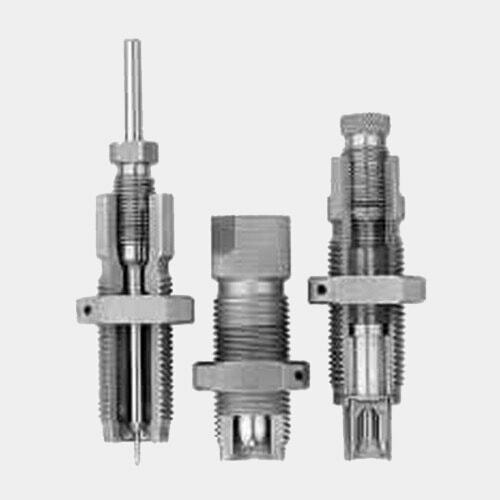 The zip spindle gets rid of slippage and makes spindle lock tightening easier. Hornady dies come in 5 types, the straight wall sizing die, regular expanding die, taper crimp seating die and regular seating die. No matter what calibers you’re reloading there’s a die for it. These reloading dies have different properties, but they’re all built from carbide. This prolongs the case life and eliminates the need lubing. The Hornady expander die simplifies reloading and won’t require you to forcibly put the bullet inside the case. These dies are also versatile and give you more flexibility when reloading. These reloading dies are at their best when used with bullet feeders and a progressive press. Setting up the dies is quick and the light learning curve means you’ll be up and running in no time. These dies are simple enough for a beginner to use but has features vets will like too. What is a Reloading Die? 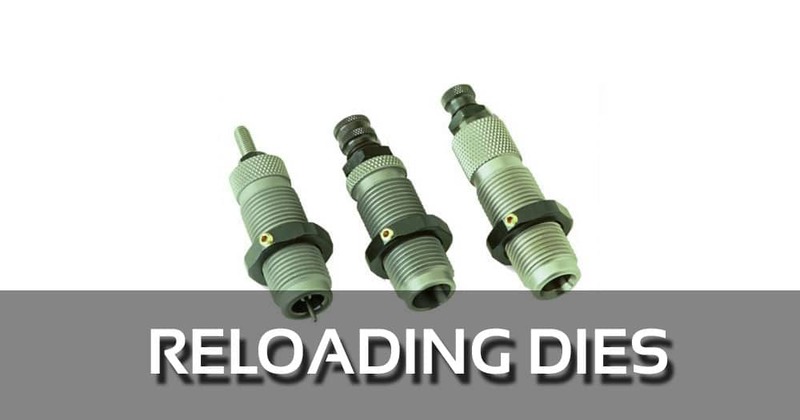 Reloading dies are the components set onto a reloading press and serve to expand, resize and decap cartridges. They’re also used for bullet seating. Reloading die sets come with 2, 3 or 4 dies. The differences in number aside, all reloading dies use the same process for bottleneck and straight cartridges. If you’re new to reloading, the different types of reloading dies may seem confusing. However that’s not a major issue as the product description explains their function. If you’re going to reload ammo you’ll need a high quality die set to get maximum value. If you want the best 9mm reloading dies you’ve got to be certain it meets your criteria. Here are the main determining factors. For bottleneck cartridges a 2 die set will do, while a 3 die set is for straight cases. Sometimes the crimping die is not available even in a 3 die set so you may want to buy a 4 die set. There are a lot of other dies available, but you don’t want to get all of them. You’ll find some sets with bump dies and hand dies, but decide first if they’re necessary. Some dies are designed to work with specific types of cases and calibers. If you’re preparing for competition for instance, look for the best competition reloading dies. If you reload pistols, you’ll need dies that are not just for pistols but specific to your gun’s caliber. If you reload mostly rifles you’ll want rifle reloading dies. Basic die sets just come with dies and for some that’s good enough. But as I have pointed out already, it is more practical to have a complete set so you don’t need to buy the parts separately. Bundled accessories vary but most reloaders consider powder measure, data load and shell holders necessary. You may need other accessories too so you have to take that into consideration as well. Reloading dies must be made of heavy duty materials to handle constant use. These reloading dies are especially useful if you fire semi automatics and rifles. Durability and strength can be gleamed with the warranty and feedback. If the reloading die has a long warranty and gets good customer feedback it’s a safe bet. This one doesn’t need a long explanation. you’ll never be satisfied with a reloading die unless it’s made by a reputable brand. Choose a well known brand like Lee, RCBS or Hornady and you’ll feel more confident. Are you going to use reloading dies for an extended period? Buy only from a well known brand. 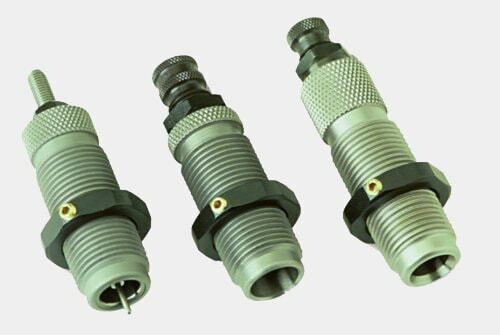 Lee and RCBS have both been around for a long time and manufacture quality reloading dies. Their dies are both good and can handle different types of ammo. However I will have to give Lee the advantage here because their sets are more complete. They have 4 dies while the RCBS only has 3 and that makes a difference when you reload a lot of ammo. I am not saying the RCBS reloading dies won’t get the job done because they can. It’s just that the Lee does it much better. The fact that it comes with 4 dies plus a powder measure makes a huge difference. Hornady is a name that all shooters and reloaders are familiar with. Since the company was established in 1949 it’s become one of the leaders in the field. So how does it stack up with Lee? Hornady is good but just like with RCBS, it just comes up a bit short when compared to Lee because it also comes with just 3 dies. In some cases 3 dies will do, but there will be times when it is necessary to have 4. that is where the Lee has the edge since it already comes with 4, saving you time and money. If you search for the top rated reloading kits online you’re going to find Lee, Hornady and RCBS mentioned frequently. The reason for that is these three brands have continuously come up with excellent reloading products. Their reloading dies are great examples of what these products are and how they’re supposed to function. All three brands make sure their reloading dies undergo rigid testing so they endure. It is easy for any company to say they have the best reloading die, but talk is cheap. With Lee, RCBS and Hornady, they walk the talk and deliver quality reloading dies without busting your wallet. After going through the 3 reloading dies, I have to conclude the Lee Precision Reloading set is the best of them. RCBS and Hornady are not pushovers and their reloading dies are also very good, but when you compare the features and usability factors, the Lee Precision set wins. What I like most about this set is its compatibility with a diverse range of calibers. From the latest releases to decades old calibers, the Lee Precision can reload it. The 4 dies included in the set are all of exceptional quality and that’s another thing going for it. And those are the facts, which is why I selected Lee as the best reloading dies.